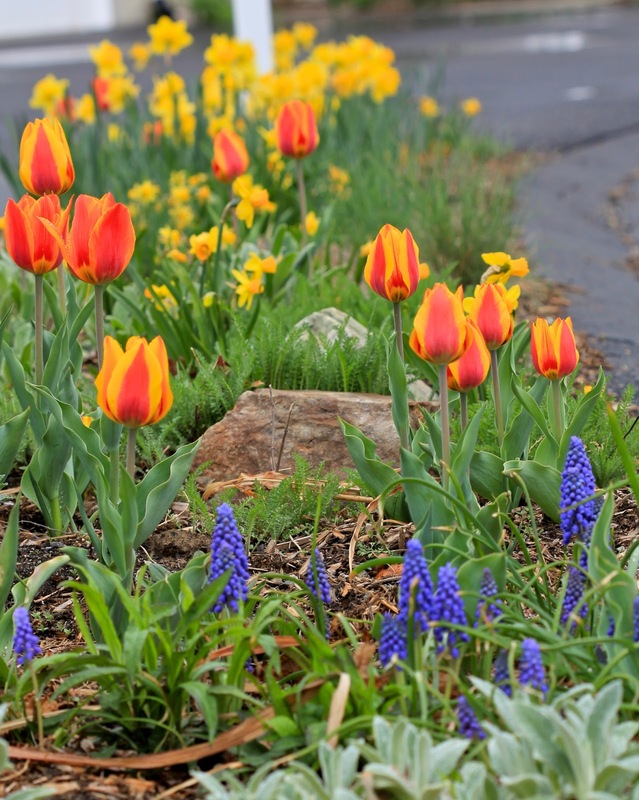 Is it Time to Just Stop Planting Tulips? 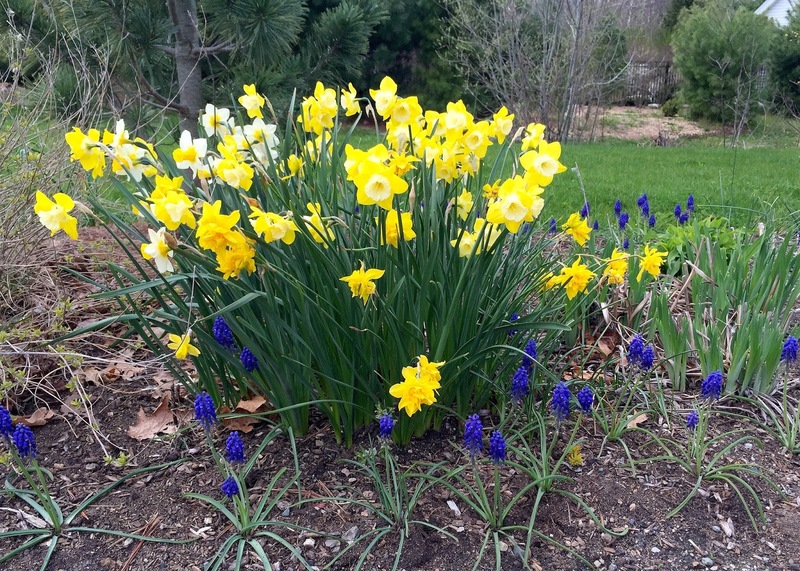 After some wild fluctuations in weather, spring has finally arrived (still knocking on wood). 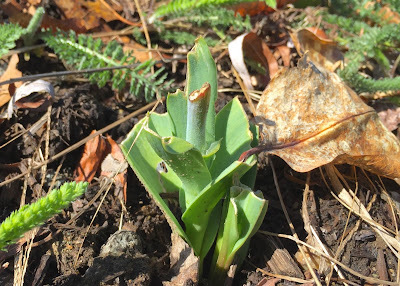 Several of my shrubs were affected by the drastic drop in temperatures we had, and I am still waiting to see how well they recover, but the spring bulbs were mostly insulated by snow. 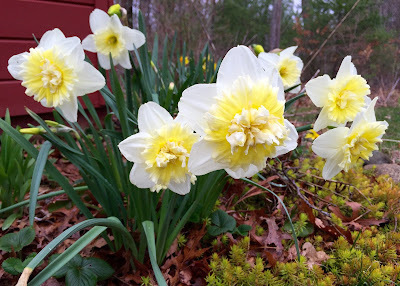 I was delighted to see that the cold barely slowed them down, and they are now blooming their heads off. 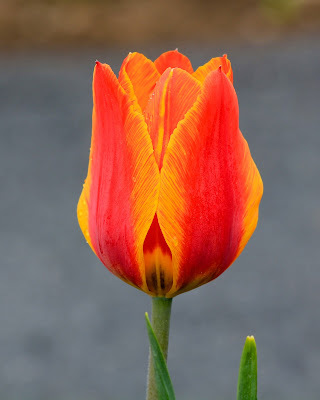 My tulips are one of the few flowers that I spray with deer deterrent, but I must not have been as diligent with reapplying as I should have been as almost every single one of my fabulous 'Flair' Tulip flowers have been eaten. 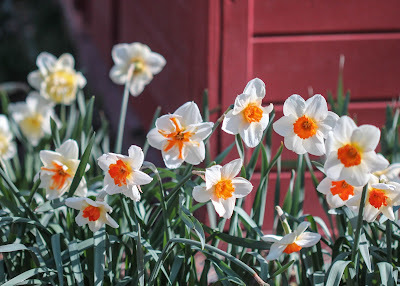 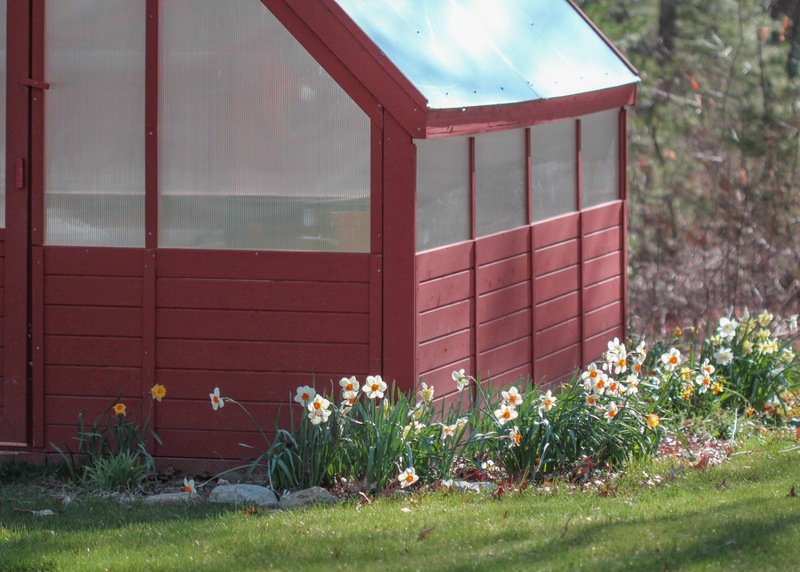 While daffodils are one of my favorite flowers, and I plant a lot of them as well as other bulbs, there's just nothing like that instant impact that a mere handful of those orangey-red tulips makes. I console myself with many of the fabulous and, more importantly, deer-proof bulbs blooming around the yard. Would any of them be bright enough to take the place of my 'Flair' Tulips? 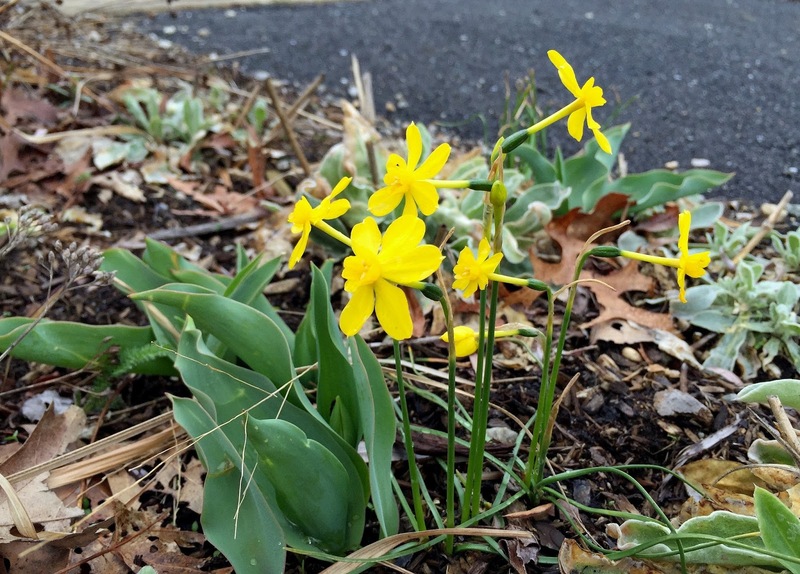 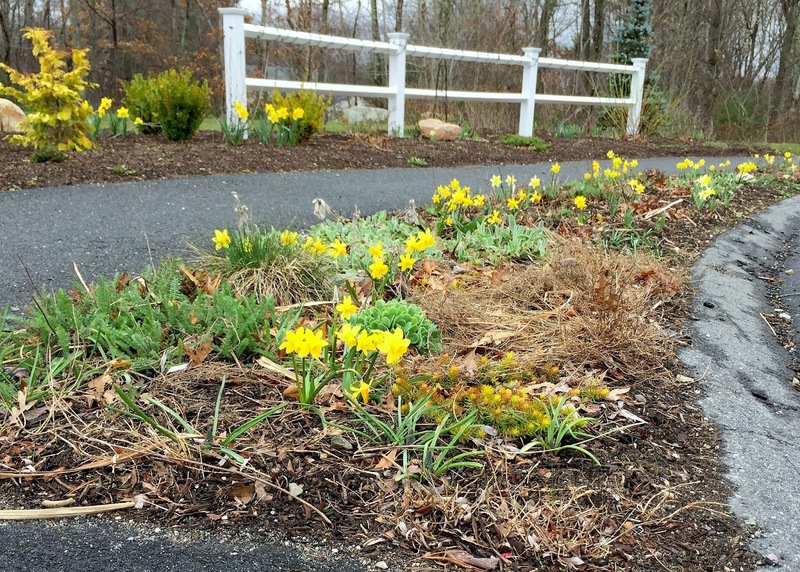 Bright daffodils take center stage in other places around the garden, especially when underplanted with contrasting flowers. While I don't think they make quite as bold a statement as the tulips, at least the flowers are happily nibble-free! 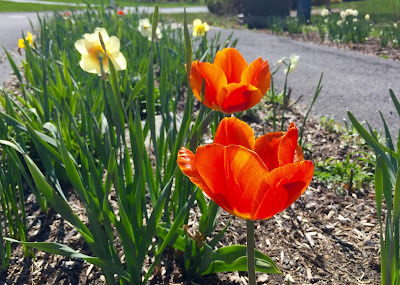 I fear my tulip planting days are over. 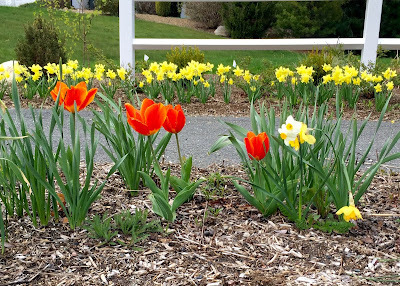 Which sadly definitely rules out tulips. 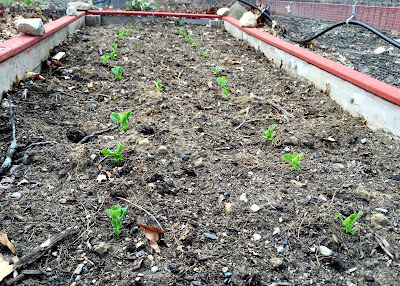 How Low Can the Snow Peas Go? 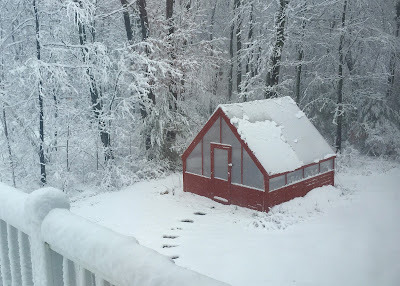 Last week saw several inches of snow here in Massachusetts, in what was (hopefully!) winter's last shenanigans. I was thankful for the snow, as two days later the temperatures dropped into the teens, and my plants needed some insulation. In fact, enough snow had melted in between that I had to shovel more snow onto my snow pea seedlings in an effort to save them from the cold. 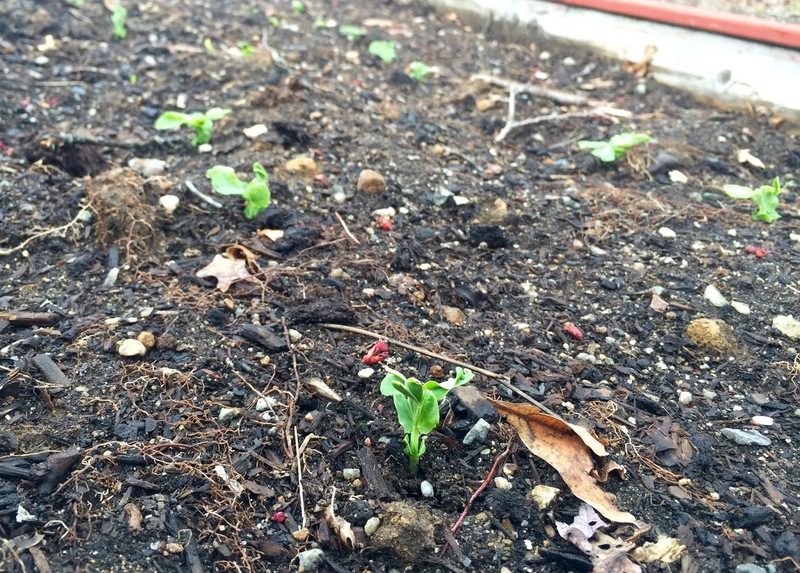 I was worried about my seedlings. 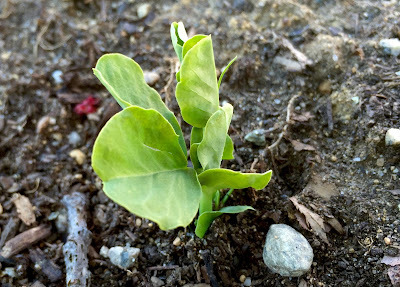 They are called 'snow peas', but just how much cold can snow peas stand? 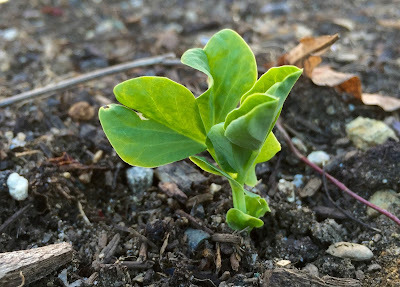 While snow pea seedlings are remarkably hardy all on their own, give them a little snow and you'd be amazed. With an insulating blanket of snow cover, young snow peas can survive temperatures as low as 10°F or even 5°F (-12°C to -15°C)! 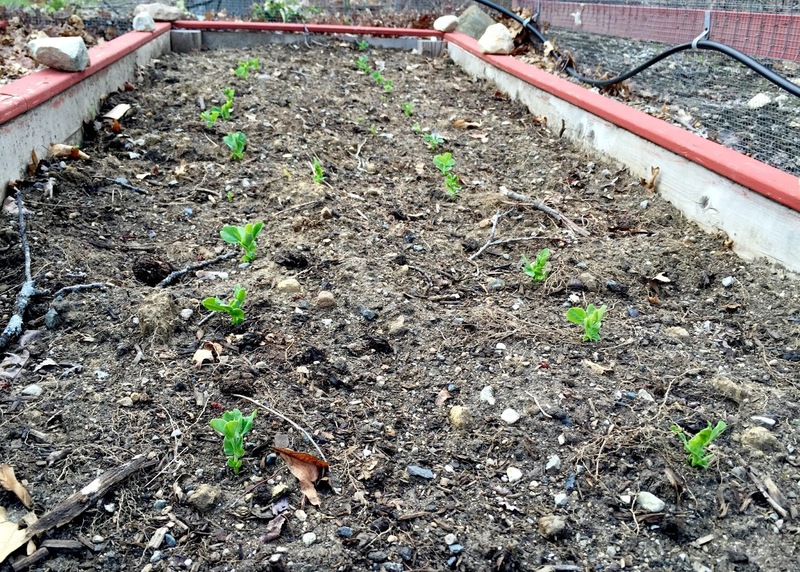 I'm happy to report that, thanks to their snowy covering, all my seedlings survived last week's cold. I guess they don't call them 'snow' peas for nothing! A Little Late for April Fool's, Isn't It? The past few weeks have been glorious. 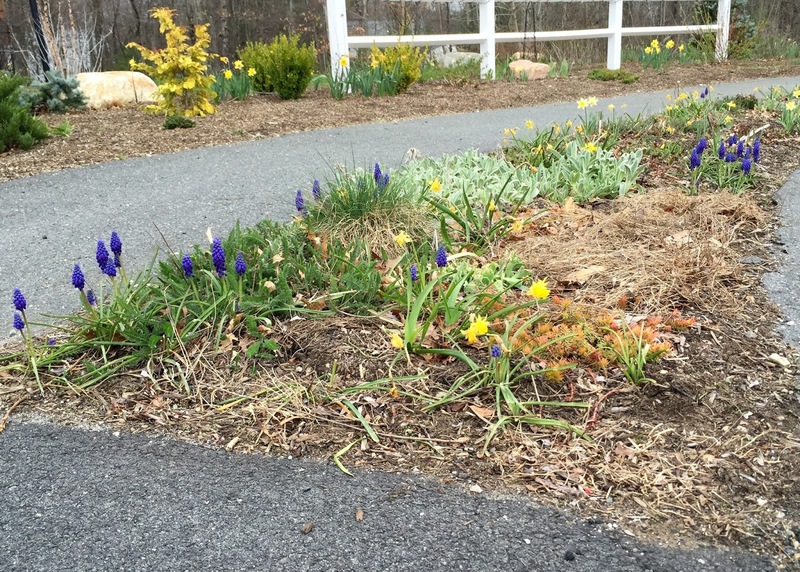 The Glory-of-the-Snow, the Crocus, the Siberian Squill, the Hyacinth, and the early Daffodils have all risen their beautiful blooms in celebration of spring. 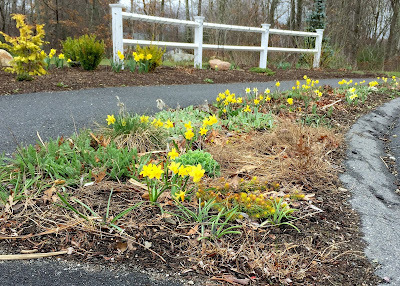 I planted one of the front hellstrips full of miniature daffodils. 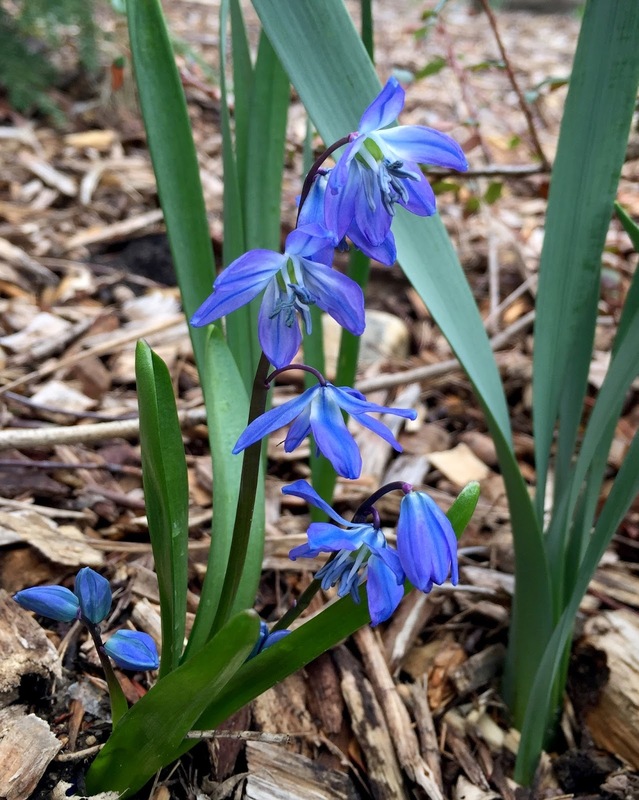 Siberian squill, planted primarily because I love the fact that its pollen is blue. 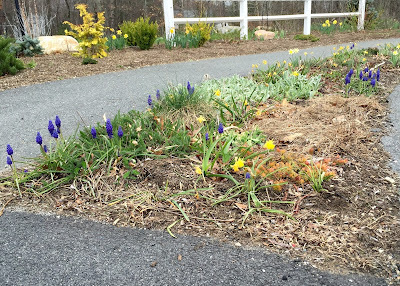 Several inches of snow blanket the ground, which is actually rather fortunate as the temperatures are expected to drop into the low teens later this week, and the plants could use the insulation. 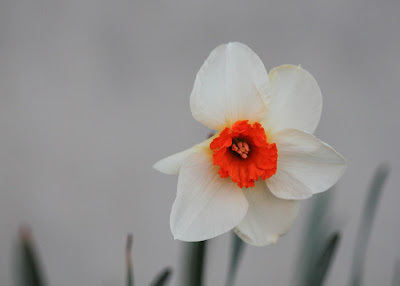 Winter had to have a last laugh, didn't it?